Sugar Cove is a luxury condominium development built in 1976, located on the Maui’s North Shore in the Spreckelsville area. This beach front community attracts residents with mild weather that is the perfect mix of sun and rain, beautiful beaches, and the right mix waves and winds that make this a world class destination for surfing, windsurfing and kite boarding. Spreckelsville is located on a thin strip of land between Hana Highway and the sparkling blue Pacific Ocean. This area in the late 1800’s was the site of a state of the art sugar mill that was the first place in Hawaii to have electric power and operated around the clock. Sugar’s influence is still evident on the Mauka, mountain side, of the highway where large fields of sugar cane sway in the breeze and extend through the isthmus valley. Sugar Cove is an exclusive gated community with eighteen town homes on four beachfront acres, meticulously maintained with lush tropical landscaping. Of the residences only six are beach front and three are allowed for vacation, short term rental. Each residence is a two-story townhouse faces the ocean with bedrooms on the upper floor and living, dining and kitchen on the ground floor. There are two floor plans with a two bedroom, two and half bath unit with 1,890 square foot interior. The other style is a three bedroom and three and a half bath unit with 2,030 square feet interior. Each bedroom comes with an attached bath. Many units are upgraded with custom interiors befitting real estate in this multi-million dollar price range. There are two parking spaces that come with each condo. 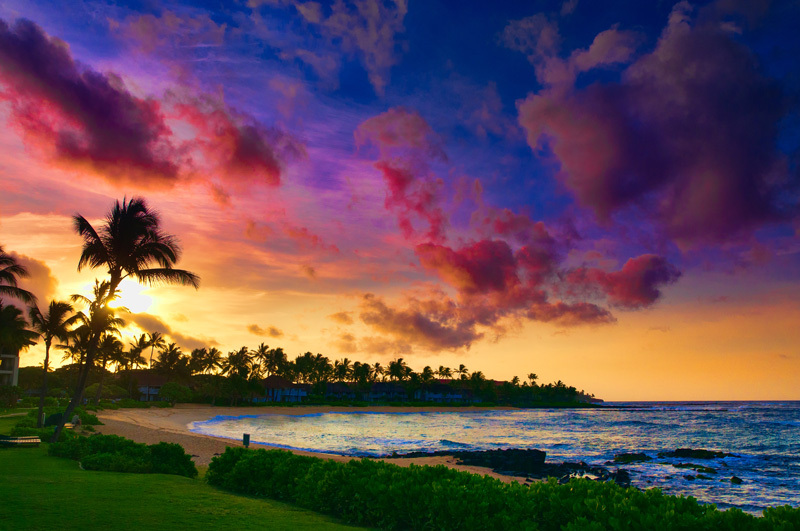 Residents of Sugar Cove enjoy easy access to the beach, Paia town, and to central Maui with employment, Kahului International Airport, Hospitals, shopping, Costco, theater and entertainment. Those who live at Sugar Cove enjoy using the onsite gated pool, lighted tennis courts and a large clubhouse. Sugar Cove fronts a beach that shares its name, and is walking distance to baby beach to H.P. Baldwin Beach Park. It is a short drive to Paia Bay which is great for picnics, Kuau Cove which is great for tidepools, Spreckelsville Beach and Kanaha Beach which are great for windsurfing and kite boarding. Hookipa Beach is a short drive away and is the world famous destination for surfers, wind surfers, and kite surfers. At the opposite side of Paani Place where Sugar Cove is located is the private Maui Country Club with a golf course, six tennis courts, fitness center, swimming pool, restaurant, ballroom and a new clubhouse. Paia town is less than five minutes by car and offers dining options, shopping and live entertainment. It is a 30-45 minute drive to Kihei or Wailea for more dining options, including fine dining and resort offering spa treatment when you want pampering. Sorry, there are no listings in Sugar Cove, Paia, HI at this time.